Written by Glendon Mellow On November 7, 2012 In "Ammonite", "Drawing", "Instagram", "flax", "fossils"
Used the SketchClub app to colour my pencil drawing of an Avimimus while taking a break this evening. Written by Glendon Mellow On July 6, 2012 In "Drawing", "Sketchclub", "avimimus", "digital", "dinosaur", "iPhone"
Diatom Kiss © Glendon Mellow 2009. Under CCL, see sidebar. This image is from my series, Fossil Boy, Diatom Girl. Written by Glendon Mellow On February 14, 2012 In "Diatoms", "Drawing", "Holiday", "pencil"
Circa WWI. There have been tremendous advancements since then of course. New! Find me on Symbiartic, the new art+science blog on Scientific American! Written by Glendon Mellow On August 16, 2011 In "Drawing", "Mythical Flying Trilobite Fossil", "WWI", "pencil", "sketch"
Mark Hahnel of Science 3.0 asked if he could use one of my dinosaur drawings for a contest banner on their network - I said sure! My artwork is under a Creative Commons Licence that says it can be freely shared so long as no money is involved, it's not altered and I get credit. In this case it needed to be altered - but Mark asked, and hey, that's what the licence is supposed to encourage. This has been your copyright service announcement for the day. 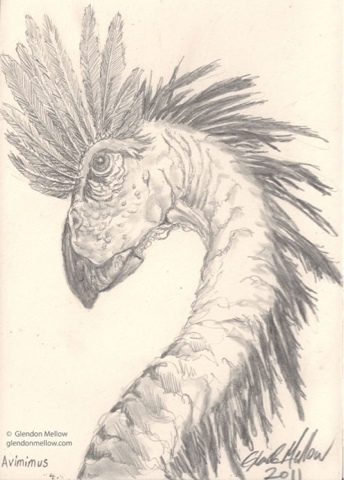 Here's the Oviraptorosaur skull incorporated into the contest banner. I drew this handsome fella a couple of years back at the Royal Ontario Museum. More importantly, check out the contest! Written by Glendon Mellow On July 4, 2011 In "Creative Commons", "Drawing", "R.O.M. 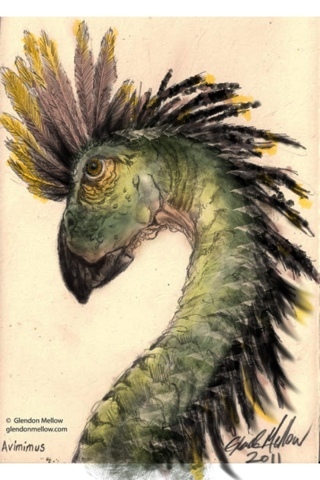 ", "blog art", "contest", "copyright", "dinosaur", "fossil", "oviraptor"